We have had a lot of interest in a recent post about a mysterious floating shelf. So we thought we’d break down the steps taken. 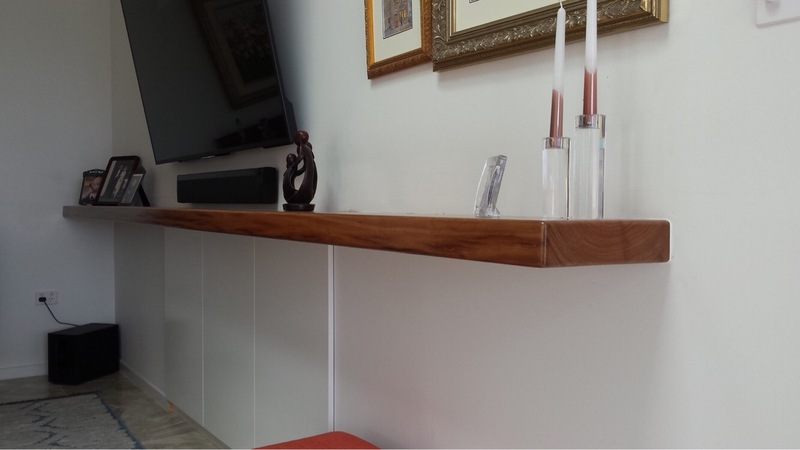 Floating shelf with hidden bracket. 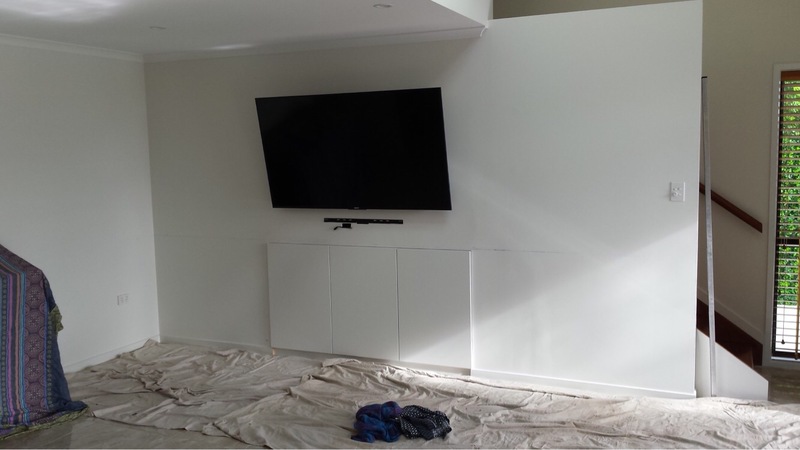 Start with a blank wall (with TV resting on bracketing installed previously). 2. 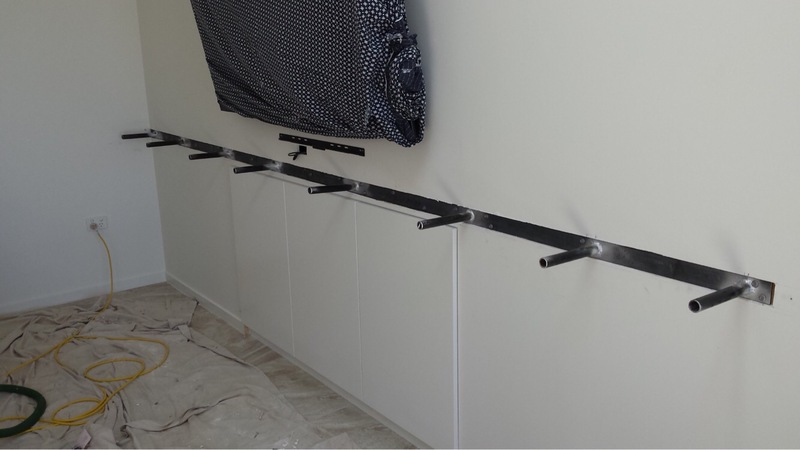 Custom-made steel bracket constructed and fitted wall. 3. A recycled timber beam was measured and cut with the following dimensions – 300 mm x 65mm x 4.2m long. 5. Six coats of clear timber finish was applied to protect the timber and to bring out the grain. A simple, but creative way to add something different to your TV/living room. Take a look at some of the pictures from this unique and different ‘floating shelf’ placed underneath a television. Definitely an alternative to the stock standard tv cabinet display, simple but stylish, minimalist but magnificent. 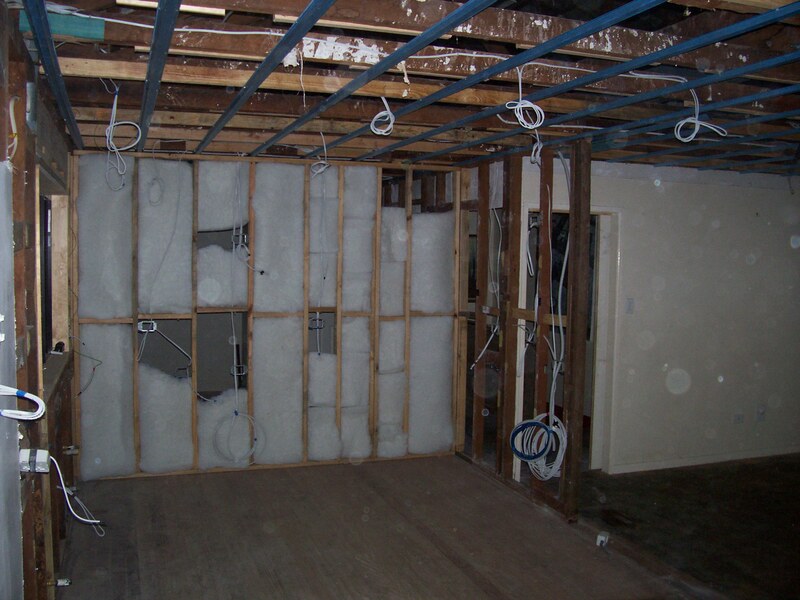 If you’re looking for some more unwise ideas to spruce up an old room, or if you’re seeking a bigger and better improvement to your home, get in contact with us via phone 07 38471855 or send us an email mail@espdevelopments.com.au. We are always look for unique ways to improve efficiency and get creative! On January 11, 2011 South East QLD was hit with massive flood waters that damaged farming properties, homes and businesses. In the summer season of storms, it is incredibly important to know how to prepare your home for storms. Tradesmen on Time have a great section on what to do pre, during and post storm, especially when it comes down to keeping safe around electrical circuits.